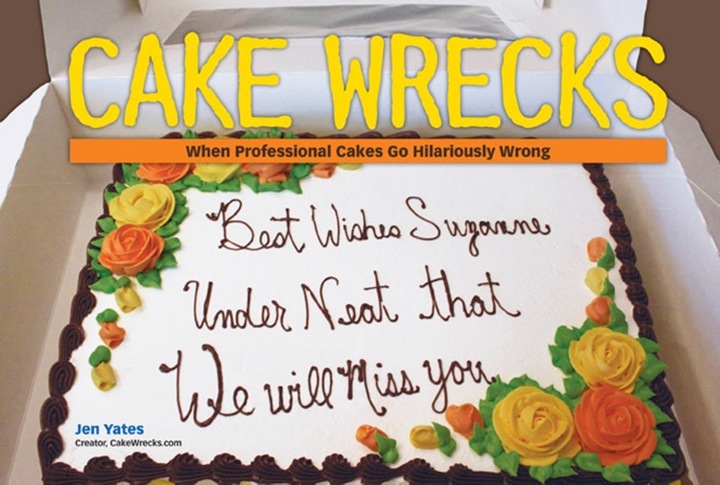 Alright, 'fess up, decorators: you're TRYING to outdo each other with the Wrecky cupcake cakes, now, aren't you? Now, let's go over the rules again, shall we? 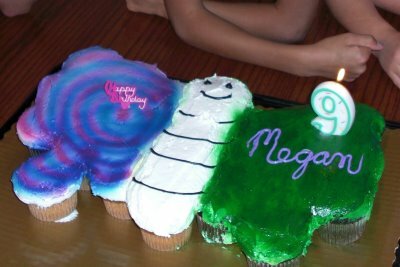 1) Both cakes must be of the same subject matter, and the same basic form or shape. 2) The "winning" Wreck shall be the subject of scorn at company water coolers the world over for exactly one business day: no more, no less. 3) There are no other rules. Well, folks, the Pastel Piranha came out swinging, taking full advantage of all that lumpy icing to better showcase its full pound of edible glitter. 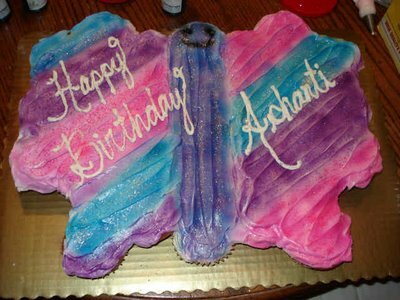 It's also showing its true colors "airbrush" style, and frankly, I think that creepy smiley face just may take home the prize today. Ah, but wait, what's this? OH! A devastating entrance has been made by Crazy Clash! Wow, just look at that form. The hypnotic swirls, the glistening green slime, the death-pale torso! Crazy Clash may not float like a butterfly, my friends, but its design certainly is stinging my retinas like a particularly feisty bumblebee, I can tell you THAT. What do you think, readers? Do we have a winner? Michelle B. and Heather N., don't tell me this was staged: that just takes all the fun out of the sport. 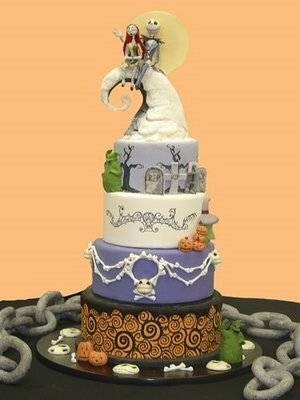 Most of the Halloween-themed wedding cakes I've come across are heavy on skulls and light on charm. So, I wanted to share a few truly spectacular specimens, inspired by - who else? - Tim Burton. Made by Let Them Eat Cake. Made by Melissa Capyk of Wild Cakes. 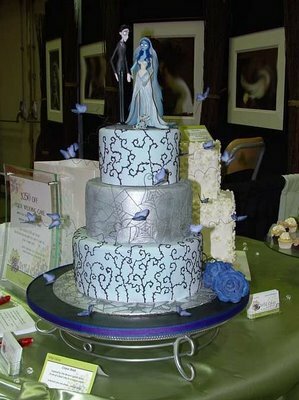 If you look closely, you'll see those are delicate blue butterflies floating around the cake. Gorgeous! And lastly, how cute is this guy? 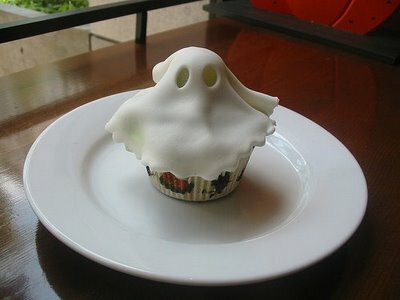 Thanks to Amanda C. for the cupcake submission, which was originally uploaded here.